WFC invites all teams!! This is an open event! 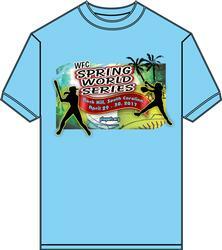 FREE BERTHS TO THE WFC World Series July 30-Aug 5 in Myrtle Beach to be given away. $850 value!!! Giveaways such as WFC Softballs, Buckets, Entry Fees, Merchandise, plus more!!! Champs and Runners-up qualify for the WFC Hall of Fame Tournament September 29-30, 2018 in NMB!! All complexes are rented to WFC and their individual gate fees, rules, regulations are in effect. This event is a 4 game format, 2 pool games seeded into double elimination. There are no guarantee in the amount of games a team will play. WFC reserve the right to divide the teams into different groups, green blue etc. A team representative MUST check in at least one (1) hour before their first game. They must fill out a survey, give a cell number, and pick up bracket. Teams must have 2 copies of a signed WFC Roster. One will be turned in and the other will be signed and returned. Then the head coach must have the WFC signed roster along with copies of birth certificates & team insurance in the dugout throughout all WFC Spring World Series games played. Coaches remember failure to turn in a signed WFC roster can lead to disqualification. Judgment Calls cannot be protested. All protests are $300.00 cash per request. After a team turns in a WFC signed roster at check in, no players can be added. Example no player can be on a 14u team roster & play on that team then play on & be on another age group team roster in the same event. This will lead to both teams being disqualified. Brackets will be available at check in. Brackets will be seeded for this event so pool play games will be finish the inning but can end in a tie. 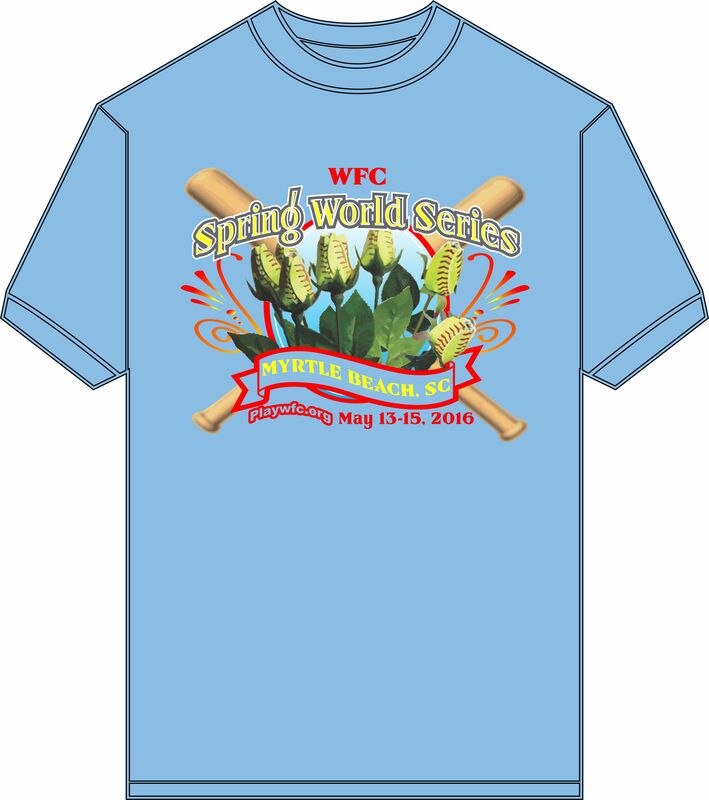 We would like to remind teams to preorder your WFC Spring World Series shirts to ensure that you get the sizes that you want. The price is $20 each and may be ordered in YM-AXXXL. Any shirts over XL will be $25. All preorders will be picked up at check-in and paid for at that time. We will have tournaments shirts along with other shirts and memorabilia available for purchase throughout the tournament while supplies last. PLEASE EMAIL PRE ORDERS FOR TEAMS to agplayer13@gmail.com. Pool games are 1 hour 20 minutes finish the inning and they can end in a tie. Score will be kept to seed for the bracket. The seeded games are by Recored wins, loses, ties & winning %, Head to Head, runs allowed, & runs scored. In rare times the ties at this point would be a coin flip. Bracket games are 1 hour 30 minutes. Championship games are 2 hours or 6 innings for 8U, 10U, 7 innings for 12u, 14u, 16u, and 18u. Run rules is 12, 10, 8 and if game will be a WFC Shootout. Any game after 5 full innings is a complete game. All park rules will be enforced. 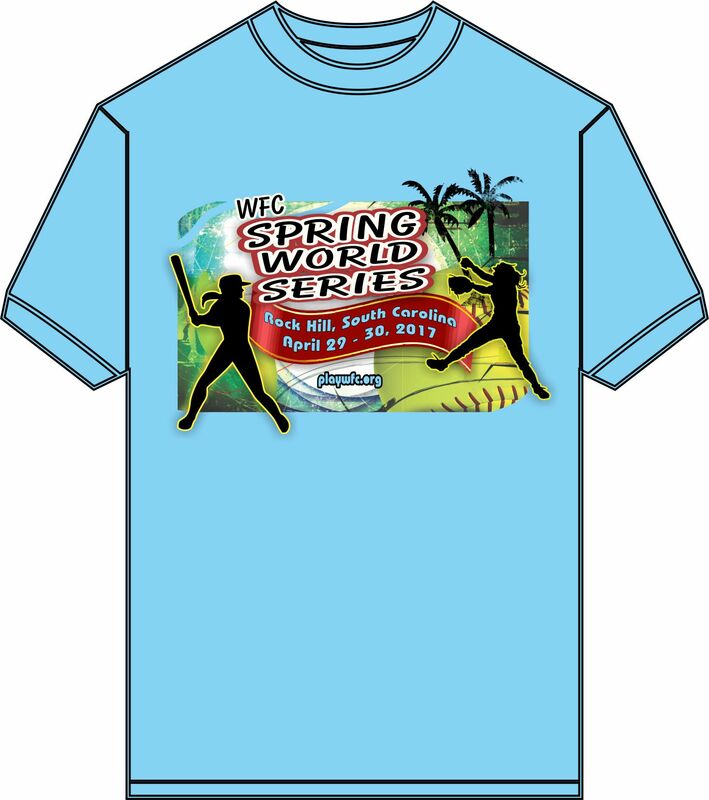 WFC does require that all parents, fans, coaches, and players be on their best behavior while attending the WFC Spring World Series. WFC will not tolerate any unpartisan like behavior. Anyone who shows that they cannot control their behavior in a proper manner will be asked to leave the complex immediately or the police will be called. Coaches are responsible for thier players, assistant coaches, and fans. WFC Spring World Series schedule will be posted tentatively by April 25, 2018. Everyone should realize the schedule is subject to change by teams dropping out, or adding teams, rain, lights not working, field damage, games going into extra innings, mistakes made in schedule, or many more reasons. Therefore teams should anticipate the possibility of late games any night and the tournament format can be changed. PLEASE CHECK THE SCHEDULE BEFORE AND DURING THE TOURNAMENT. Updates will be kept online WFC Blog for scores, schedules and weather changes. ONCE YOU ARE ACCEPTED INTO THE TOURNAMENT AND YOUR SPOT IS RESERVED, IF YOU WITHDRAW THERE WILL BE NO REFUND.THE TOTAL TOURNAMENT FEE IS NON-REFUNDABLE (NO EXCEPTIONS, NO SUBSTITUTIONS). In case of catastrophic occurences such as but no limited to hurricanes, fires, flood, etc a tournament may be canceled due to the safety of all teams and families. If cancelation occurs, teams pay a $200 charge for event costs.